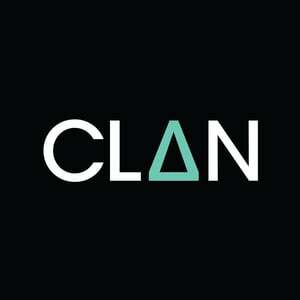 February 2017 – CLAN STUDIOS. ANCILLARY TASK 6 – CD SALE CHANGE. In the past 5 years, CD sales have changed dramatically for the worse. Sales have dropped immensely, due to the modern streaming and downloading trend. It states that in 2015 between January and June, the sales of CD’s dropped by 15.8 million compared to the previous year. It is then stated that streaming revenues grew immensely, which explains the fall in the CD’s. Today, artists make most of their money through the internet. YouTube, podcasts, adverts, social media, fan websites, selling merchandise and tickets. However most of their earnings comes from people consuming their music by streaming and downloading their songs, rather than buying a physical copy. ANCILLARY TASK 5 -EXISTING DIGIPAK. I have created an already existing digipak on Photoshop and Microsoft Word. I found a fairly simple looking digipak at home for me to copy called, Ministry of Sound – Anthems Electronic 80’s. My digital, Photoshop version is almost identical, however there are some tiny differences that I really struggled and failed to recreate. ANCILLARY TASK 4 – HOW STAR IMAGE IS USED. It has to follow the theme of the storyline, e.g. fire, running, argument, alcohol etc. It has to be dramatic, so I would like it to be something that represents fire. It has to be eye catching, clear and bold. Whether that is down to the font, or the colours of the image. It has to be interesting, as if it is a story in itself. Where people can think for themselves what it means. It has to be different to the other images we use. I will follow these rules in order to create my whole digipak, but strictly when creating my star image, the front cover. ANCILLARY TASK 3 -DIFFERENCE BETWEEN DIGIPAKS & CD CASES. In these albums, there is almost a £6 difference between the two. This is because there is more to a digipak; more pictures, more information, maybe posters, or other accessories and sometimes another disk, such as an acoustic version. Whereas a CD case is cheaper, as it is simply just a single disk and occasionally a little booklet. This makes the digipak smarter and more exclusive to the audience, however the digipak is in fact cheaper to produce than a normal CD case, as it is mostly made out of cardboard and the CD cases are usually made out of plastic. The pictures in particular represent different things, such as fire, terror, death, drunk fights and saving lives. Something that I thought looked good and dramatic and also told a story. ANCILLARY TASK 2 -FONT TESTS. I really wanted the font of my digipak and advert to be bold and visible, but also quite cool. After just a few attempts of typing “Rudimental” into word several times with several different fonts, I decided that simply, the default “Calibri (Body)” font is my favourite. I also played around a little on photoshop and created a draft for the front of my digipak cover. Here, I have used the Calibri (Body)” font, but stretched the words out a little to create a more digital looking font. ANCILLARY TASK 1 -HOW MUSICIANS PROMOTE THEMSELVES. Chase & Status make drum n base music, quite similar to Rudimental. They are a very well known, successful group and part of their fame has been created through promotion. Using social media to promote themselves is very effective, as a lot of people use it and therefore it is incredibly easy for people to find out what the group are doing, when they are performing, when their albums come out etc. People will watch this on television and on iPlayer, some of which might not already be Chase and Status fans. This boosts their popularity, fame and potentially sales. Another problem we came across after filming was that we had a few shots which had been filmed with the wrong fps, meaning the slow motion shots we intended on using came out very jumpy. To improve this, we re-shot them with the right fps. We also had to re-take certain clips because we had ones were the girlfriend was wearing a jumper, and some were she was wearing a t-shirt. We re-shot these so that she was wearing the same thing throughout. In general, I feel our filming ran smoothly and worked just the way we wanted it to. Our actors worked very well with us, which allowed us to get everything we needed to do, however our dancing clips were filmed very last minute, due to the location being constantly in use. Our extensive planning allowed us to know what we needed to do, which therefore meant we were not trying to make things up on the spot. I am very happy with how it went, and I am pleased with our final piece.